Home / intangible heritage / UNESCO cultural listings / Thai gives Cambodia the finger over jeebs -- or get your hands of our intangible heritage! Thai gives Cambodia the finger over jeebs -- or get your hands of our intangible heritage! "The ownership of a graceful hand gesture that is part of traditional dance and shadow plays is causing new tensions between Thailand and Cambodia. Both countries lay claim to ownership of the jeeb -- a hand position where the thumb touches the index finger and the three other fingers are splayed out. In 2008, Cambodia persuaded Unesco to include Khmer shadow theatre on a list of intangible cultural heritage items. The hand gesture is part of the dance. Thailand, however, has yet to ratify the convention allowing it to submit cultural heritage items to Unesco for contention as official intangible cultural items. A Unesco listing results in international recognition from the item, and funding to help preserve it. Culture Minister Sukumol Khunploem downplayed reports that Cambodia had ''stolen'' a Thai cultural icon. She said a Unesco listing has nothing to do with intellectual property or copyright issues [In technical legal terms it may not, but isn't WIPO involved in the protection of traditional cultural expressions, asks the IPKat, whose long memory stretches back to the 1982 draft model Law on the Protection of Expressions of Folklore against Illicit Exploitation and other Prejudicial Actions, this being a joint venture between WIPO and -- you guessed it -- Unesco]. ''It is normal for countries in the same region to share similar cultural traits,'' she said. Nonetheless, some academics are worried Thailand could be left behind in the race to register cultural items, as tourist earnings and funds for preservation are at stake. They say that if anything can help save intangible cultural heritage items, it is an inscription by Unesco. Thailand is drawing up its own list of intangible treasures, which it can submit to Unesco once it has ratified the treaty governing such inscriptions. A list started by the Cultural Promotion Department in 2009 now has 50 intangible heritage items, including the Thai Shadow Puppet Theatre. Another 30 items, including famed spicy Thai soup of tom yum kung, Thai-style kites and banana stalk carvings are likely to join them. ... Intangible heritage items are based on tradition or, as Unesco puts it, are living expressions inherited from ancestors and passed on to successors. These include oral traditions, performing arts, social practices, rituals, festive events, knowledge and skills to produce traditional crafts, and even knowledge and practices concerning nature and the universe, its website notes. Unesco says intangible heritage helps maintain cultural diversity in the face of growing globalisation. ... Since 2003, when the Convention for Safeguarding of Intangible Cultural Heritage came into effect, Unesco has listed 16 intangible heritage items in need of urgent safeguarding, and 213 items of intangible cultural heritage of humanity. ... Cambodia's Royal Ballet and Khmer shadow theatre, or sbek thom, are among intangible cultural heritage of humanity items recognised by Unesco. Some scholars are worried Unesco's listing of the Cambodian items could deprive Thailand of the right to list similar treasures including Thai shadow play, or nang yai. ...Thailand cannot nominate items for a Unesco listing because it has yet to ratify the convention. The Culture Ministry is preparing papers for the cabinet and parliament to allow the country to join the convention. The ministry has also drafted legislation to help safeguard the country's intangible heritage. Under the bill, a national committee for safeguarding intangible heritage treasures will be created, and a fund set up to support the work. 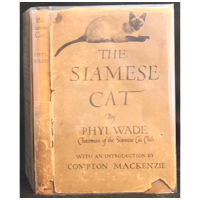 Guide books for Thai cats? 10. Likay musical folk drama".